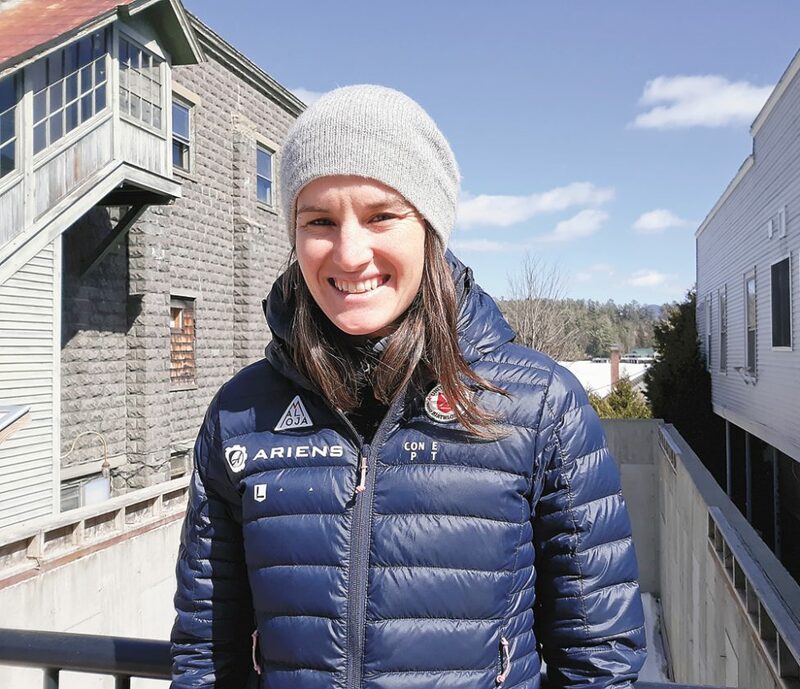 LAKE PLACID — A year ago, Lake Placid-based biathlete Clare Egan was getting ready for one more World Cup season before hanging up her skis and rifle at the age of 31. But after claiming her first podium and finishing the season ranked 18th in the world, Egan has changed her tune and is committing to training for another season. Egan said a number of things factored into her best season yet, including a change in coaching and training schedule. And while the Cape Elizabeth, Maine native was one of the most improved female biathletes in the world this winter, she said training less was one of the biggest factors in her success. Egan had said she wanted to retire after this season, but her outstanding results — she’s ranked 16 places higher than the next American woman — have led to a change of heart. Egan was elected by her fellow athletes to be the chair of the International Biathon Union’s Athlete’s Committee last March, a role she says has provided a lot of satisfaction. “That work that I’ve been doing as the Athlete’s Chair, and subsequently I also started serving on the IBU Executive board, that’s been really fulfilling and energizing,” she said “I mean, five percent of the time it’s a distraction from my sport, but 95% of the time it’s been really fulfilling, really interesting. I’ve met a really nice community of people that support me through that work, and just meeting other athletes has helped my performance. Egan, who has a masters degree in linguistics and can speak English, Italian, Spanish, French, German and Korean, said that when she does eventually retire from biathlon, she would like to work in a similar environment where her language skills and international experience will be helpful. She said she’d like to learn Russian for next year as well. Egan decided to make the 2018-19 World Cup season her last in international competition. But during the winter, Egan improved to become the top-ranked American and earned 416 more points than during the previous winter. After the 2017-18 season, Egan was ranked 63rd in the world. Her first podium spot on the world stage came in the last race of the World Cup season in Oslo, Norway on March 24. After shooting clean in the first three stages, she had just one miss in the final shooting round and came out of the penalty loop in third. Egan and Norway’s Tiril Eckhoff traded second and third in the final 1.5-kilometers of the race, but the Eckhoff held off the younger Egan to claim second in the race behind Sweden’s Hannah Oeberg. Egan finished 10.4 seconds behind Oeberg. Egan said one of the biggest reasons for her success was due to a new coach, Italian Armin Auchentaller, who took the helm of US Biathlon’s women’s team late last year. “There’s a couple of reasons. I think the biggest one is the change in coaching,” she said. “It’s always made a big difference to me as an athlete. I think maybe some athletes don’t need the support of the coach as much — I’m sure it’s an individual thing — but I’ve always performed my best when I’ve had a good relationship with my coach and I have that now. 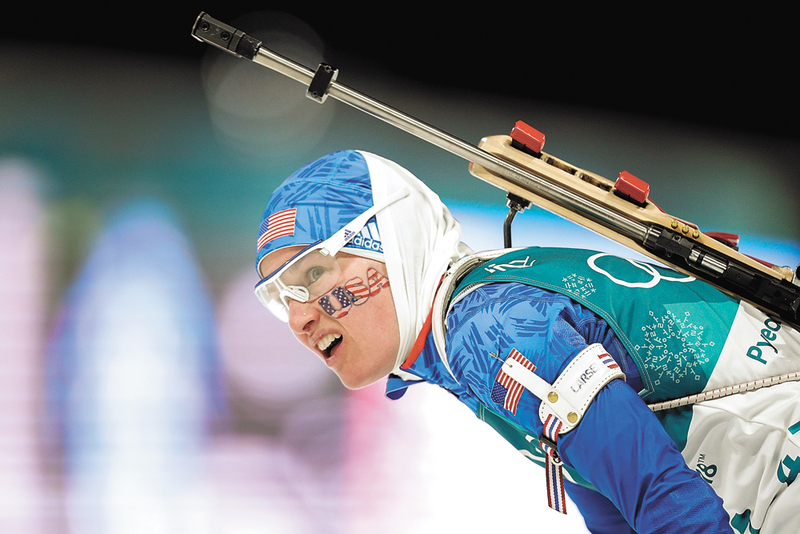 Egan also said that US Biathlon, which is based in Lake Placid, changed its training schedule this year as well, and having a little more down time has ended up fueling her appetite for the sport. 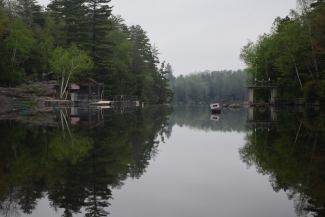 Egan explained that the camps last two weeks at a time, often in Lake Placid, but they take place in other parts of the country as well. She said having two weeks off in between hard training at the camps allows her to focus a little more on recovery. 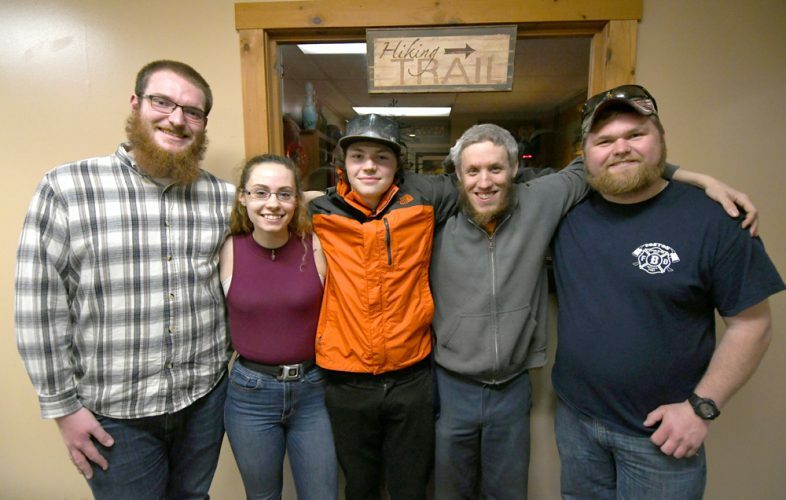 “What that whole thing allowed me to do is to work really intensely for those two-week camps,” she said. “Both physically and mentally, just super high focus with the knowledge that I would have time to recover mentally and physically. So it was a much better balance. Egan said the change allowed her to put in full effort for two weeks at the training camps, and then still train at home with a more relaxed attitude. She added that the weeks in between camps not only allowed her to recover physically, but also to process what she had learned at the camp. The IBU World Cup season consists of 25 events hosted around the world, and at the end of the season last month Egan was in 18th with 470 points. Italy’s Dorothea Wierer sits atop the world standings with 904 points, while American Susan Dunklee is 34th and Joanne Reid is 49th. The IBU has 102 ranked female biathletes. Egan earned her first World Cup podium at the last race of the season, finishing in third. But she also had a number of top 10s and 20s, including two ninth-place, a 10th place and two 12th-place finishes. She said at the last race of the year, which was in Oslo, Norway, she simply performed to the level she knew she could. “I was so close in so many races this season,” she said. “I was super satisfied with my results before that race, too. But I had only had one top 10. I was very consistent, but pretty much every time that I was 11th, if I had hit one more target I would have been on the podium or won (the race). So that happened a lot. Egan said conditions were incredibly windy, which has an effect on biathletes’ shooting. She said she took her time at the final stage as she could hear her competitors missing shots due to the wind. 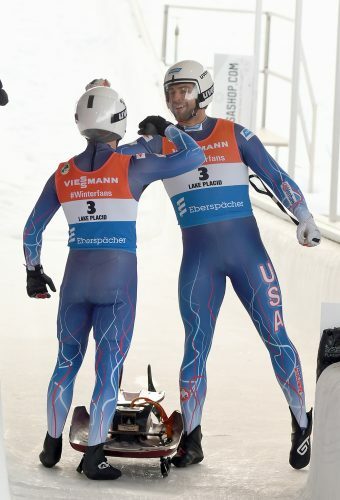 “I kind of went back and forth between second and third place on the last loop. But I was so happy. I knew I could do it and I was finally ready to do it,” she said. “I was finally ready to do it in the last race of the season. Last April, the IBU underwent some drastic changes in leadership after its first and only president — Anders Besseberg — resigned after he and other IBU officials were alleged to have taken more than $300,000 dollars in bribes to cover up a state-sponsored Russian doping ring. The General Secretary of the IBU was also forced out, and Austrian police — where the IBU is headquartered — led a series of raids that also spread to IBU offices in Germany and Norway. Egan said a lot has changed in the past year, and as law enforcement continues to work the case, she said the union’s new leadership has also taken steps to ensure that biathlon is a clean sport. “Last April was definitely the low point,” she said. “But that has made way for cleaning house, which obviously needed to happen. Since then, I’m pretty confident that the organization has done what it needs to do. She said between the independent investigation, the Austrian police and a World Anti-Doping Agency investigation, she’s confident no stone will be left unturned. She added that IBU has set up a whistleblower hotline and is continuing to improve in other areas as well. “I’m definitely confident in our new leadership,” she said. “The first worst thing is that people’s lives and health are in danger when they are doping, and in some cases forced to do so. We often see that cheating aspect as the worst part about it, but the worst part about it is that it’s horrible for your health.